2x 55W H7 Bi-Xenon HID Xenon Bulb. Bulb Type: H7 Bi-Xenon. 2x 55W Universal Digital Slim Ballast. Power: 55W. Once installed, you will instantly notice increased visibility while driving at night. Super Bright HID Light. 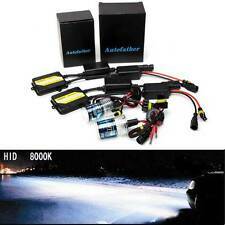 CANBUS XENON HID CONVERSION KIT MINI AC 55W BALLASTS H1 H3 H7 H11 HB3 HB4 9005/6. 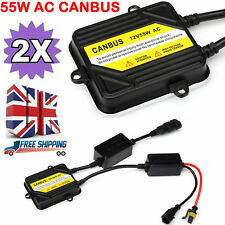 Function: canbus HID ballast 55W, error light canceller, error free for most of cars with computer. Plug & play-easy to install & no modification required. Bulb Type: H7 Bi-Xenon. 2x 55W H7 Bi-Xenon HID Xenon Bulb. Once installed, you will instantly notice increased visibility while driving at night. 2x 55W Universal Digital Slim Ballast. Super Bright HID Light. 55w Hid Canbus Kit. Save money by purchasing just the part you need. 55w(saving 40% power). We really appreciate your support! Short Circuit Protection Open Circuit Protection (E.g. you bought wrong model or wrong color). 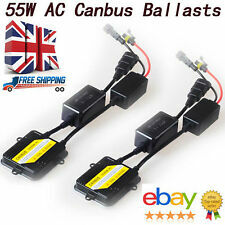 Function: canbus HID ballast 55W, error light canceller, error free for most of cars with computer. Ballast Specification Plug & play-easy to install & no modification required. We really appreciate your support! 55w Hid Canbus Kit. 55w(saving 40% power). Save money by purchasing just the part you need. Input Start Current Maximum Input Current Open Circuit Protection We are happy to help if you need any further information. 55w Hid Canbus Kit. 55w(saving 40% power). Save money by purchasing just the part you need. Open Circuit Protection We really appreciate your support! Waterproof,Shockproof. Other feature automatic protection in 3s. 55w Hid Canbus Kit. 55w(saving 40% power). HID Beam TypeH7 Dipped Beam. HID Lamp Power55W. Colour Temperature6000K. We really appreciate your support! Short Circuit Protection Open Circuit Protection. Super Decoding HID ! No Error On Dashboard! No Flicker! 55w Hid Canbus Kit. Save money by purchasing just the part you need. 55w(saving 40% power). Ballast Life-span Open Circuit Protection Short Circuit Protection Input Start Current Maximum Input Current. 55w Hid Canbus Kit. Part ManufacturerSuper Canbus Kit. 55w(saving 40% power). HID Beam TypeH7 Dipped Beam. HID Lamp Power55W. Open Circuit Protection We really appreciate your support! Waterproof,Shockproof. 55w Hid Canbus Kit. 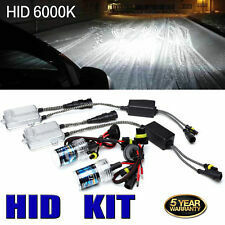 H7 HID Xenon Ultra Slim Ballast KIT （6000K）. 55w(saving 40% power). Save money by purchasing just the part you need. complete kit - ballast bulbs. We really appreciate your support! 55w Hid Canbus Kit. 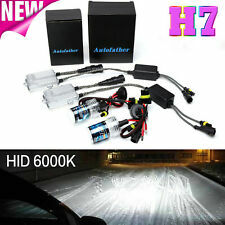 H7 HID Xenon Ultra Slim Ballast KIT （8000K）. 55w(saving 40% power). Save money by purchasing just the part you need. complete kit - ballast bulbs. We really appreciate your support!